The legend of Gianni Versace – the icon of Italian fashion throughout the world – lives on in Bari with a special event that brings the fanciful designer’s creations back to the catwalk. On Saturday 8 March, some of the most prestigious items from Antonio Caravano’s collection are on show at the Palace Hotel. This Neapolitan has collected 900 items including clothing and furniture from around the globe. 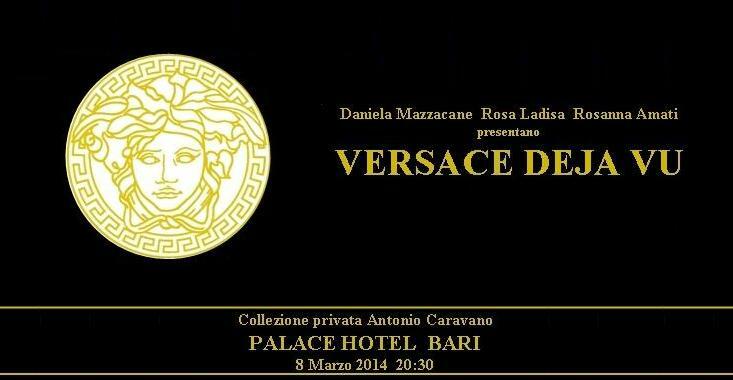 The “Versace Deja Vu” event was created by Daniela Mazzacane, a journalist from Tg Norba 24 and head of the fashion show “Tg Prima”; it is sponsored by the Culture Commission of Bari Municipality. The event was organized by the whimsical jewel designer Rosa Ladisa, who designed a new line of jewels for the occasion. The art director is Rosanna Amati, her undisputed experience and competence are sure to guarantee a top level show. Tony Di Corcia, a journalist and writer from Foggia, is a guest for the event: he wrote a book recounting the personification of the Italian dream. The book analyses the phenomenon created by the stylist from all angles, from the stage to intimacy; a TV fiction will be based on the book. At the “Versace Deja Vu” also the talents of Gianni Calignano, Michele Gaudiomonte, and Michele Miglionico will be showcased, fashion designers from the south who are now competing at an international level. They designed clothes and accessories inspired by Versace especially for the event. The players of Bari’s water-polo team are the special models for the male collection. The “Carmen Martorana Eventi,” the communication agency that organizes the “Look of the Year” contest, curated the casting and the models. Another protagonist of the event will be the “Ars Nova” corps de ballet choreographed by Valentina Vitone, and supervised by Adolfo Marazita, director of the Musical Theatre Company. A fashion show, with an eye to solidarity: the fund-raising show is in partnership with BNL for Telethon. A part of the proceeds will be donated to Telethon and to scientific research to cure genetic illnesses. The show starts at 8:30 pm, don’t miss it!